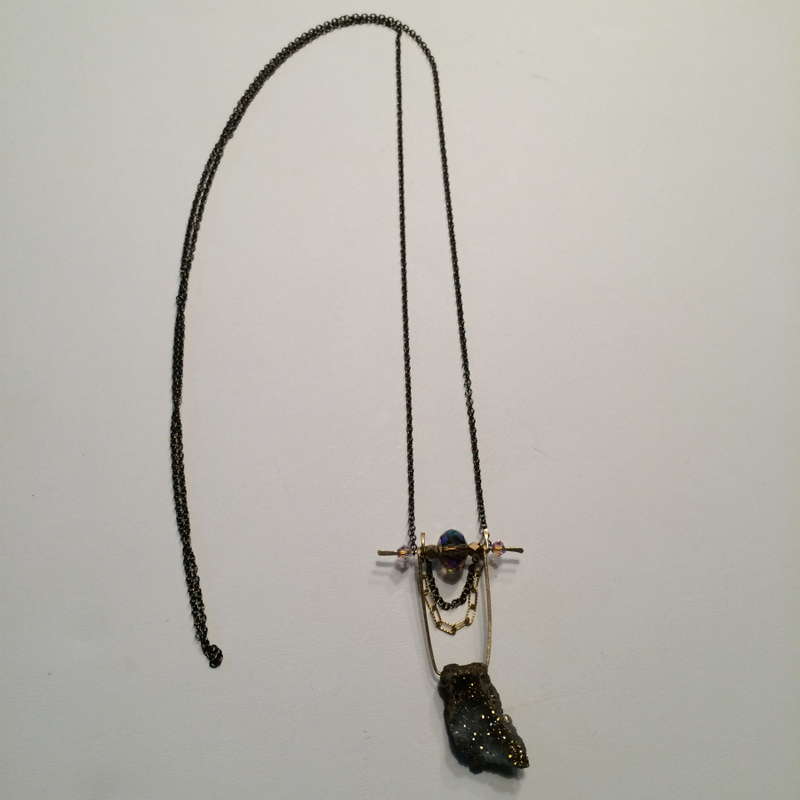 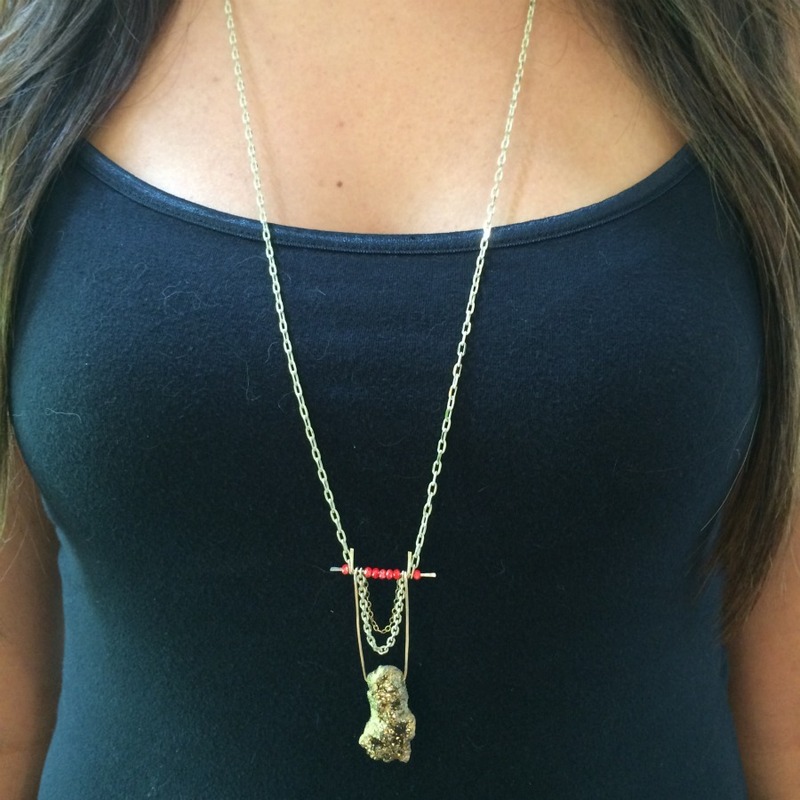 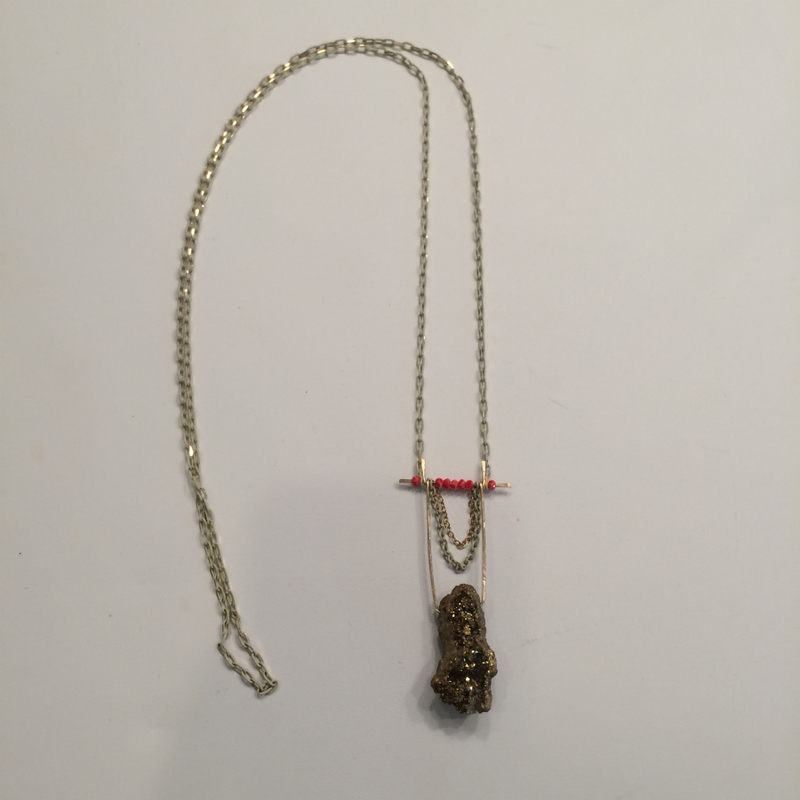 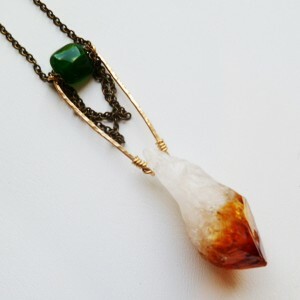 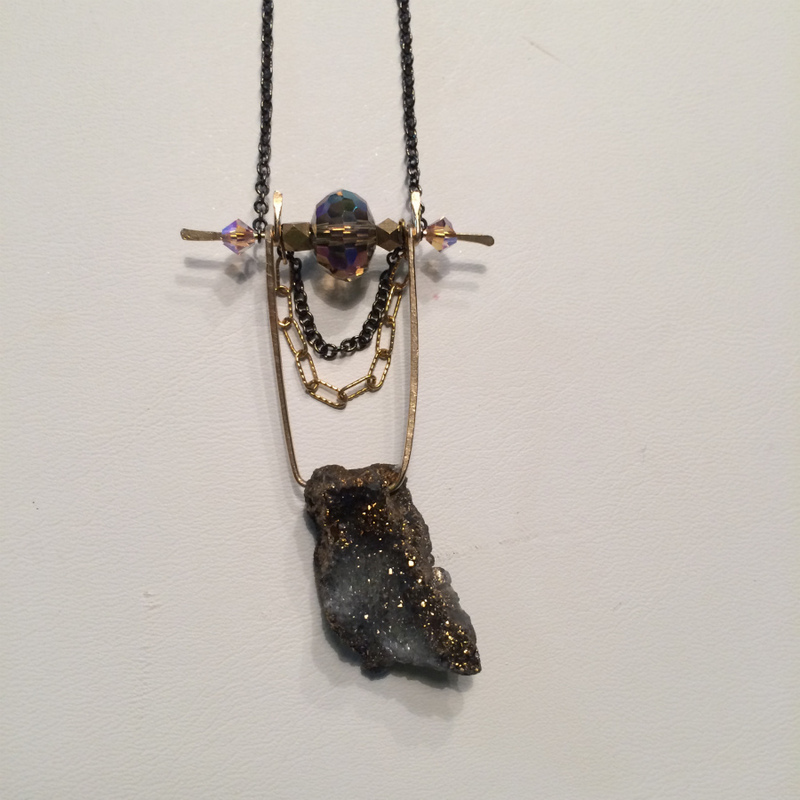 A one of a kind pyrite stone is the focal point of this powerful necklace. 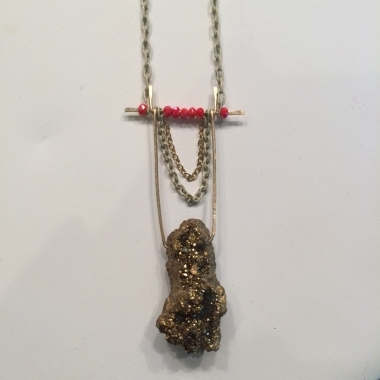 Pyrite is said to bring clarity of vision. 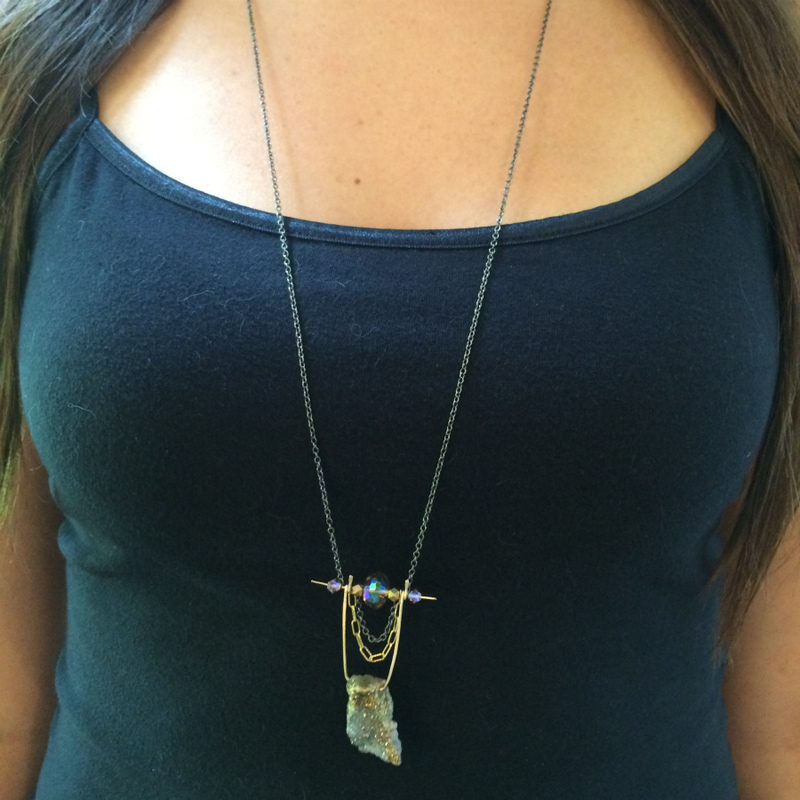 Choose between from variety of colors.